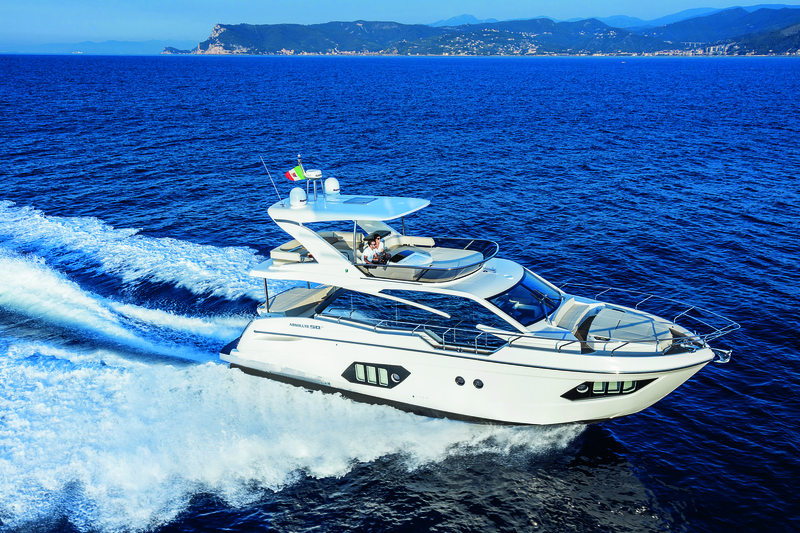 The Absolute 50 Fly provides the absolute form of comfort and implements design concepts typical of larger luxury motor yachts. During Boot Düsseldorf 2017, the Absolute 50 Fly was awarded European Powerboat of the Year Above 45 Feet and was shortly thereafter awarded the Asia Boating Awards Winner Best Flybridge Yacht Up to 55 Feet. Featuring a spacious three stateroom layout with a crew quarters aft, the 50 Fly accommodates seven adults comfortably. The 50 Fly’s Volvo Penta 2xD6-IPS600 system provides impressive performance and low fuel consumption, enhanced with reduced engine noise and the absence of vibration. With a cruising speed of 22 knots, the 50 Fly only burns 33.71 gal/h to provide you with economical cruising.